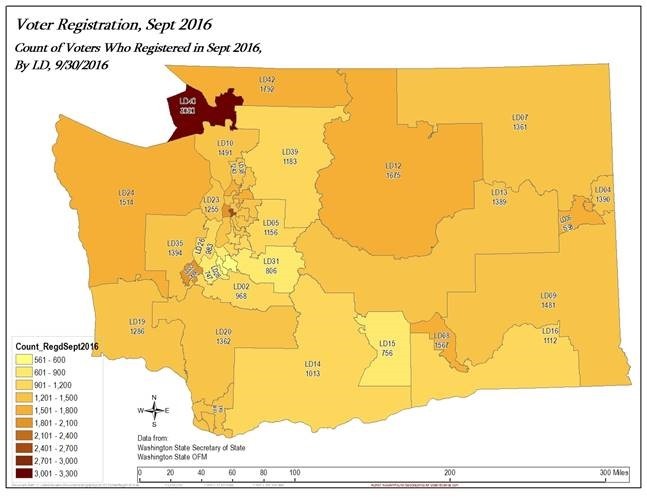 Voter registration for Nov 8th, 2016 in WA has closed and here’s a breakdown of some late registration trends. 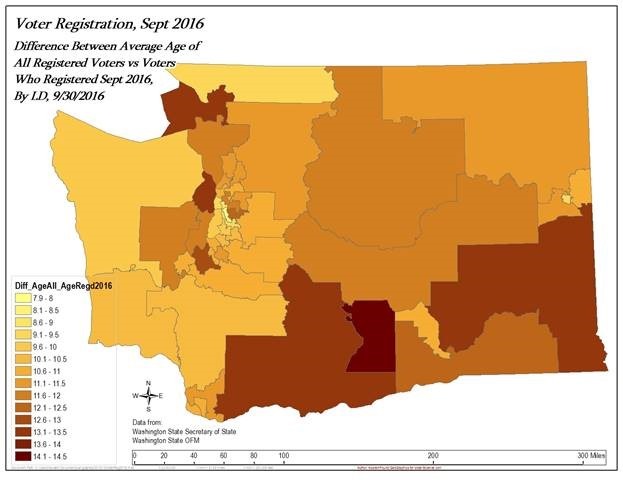 The average age of a recently registered voters is 37, roughly 11 years younger than the average age of all voters. 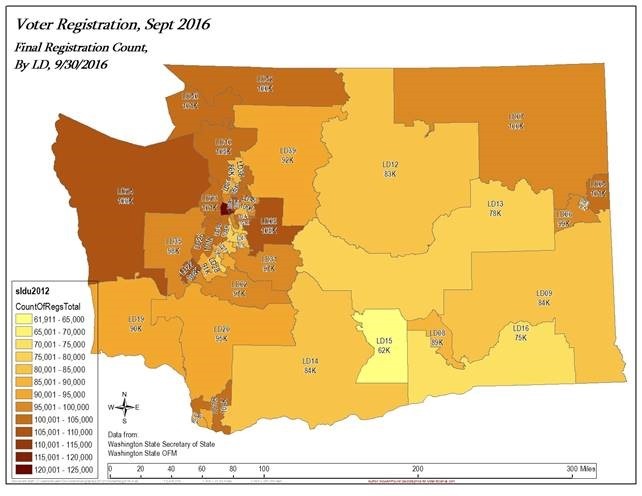 This trend is consistent across all 49 legislative districts. 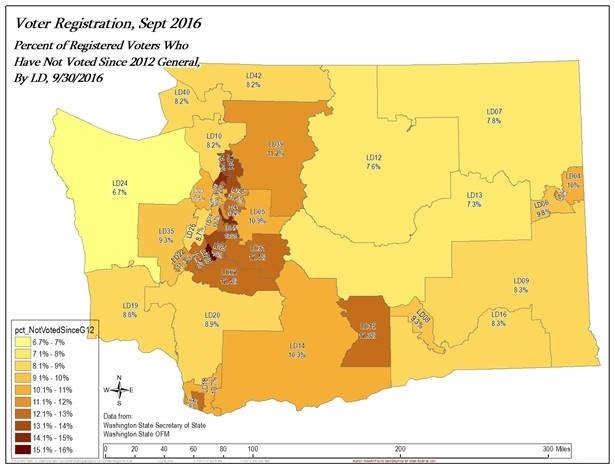 Here’s a breakdown by legislative district, showing average ages of All voters, only voters registered 2016, and the difference between them. 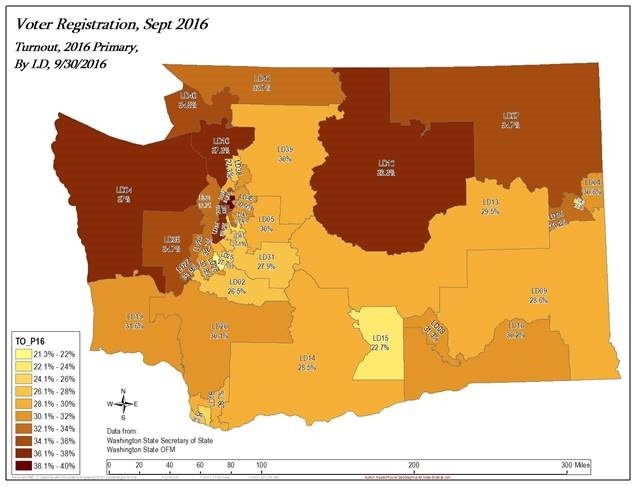 Districts average about a 1% increase from new registrations in ’16. 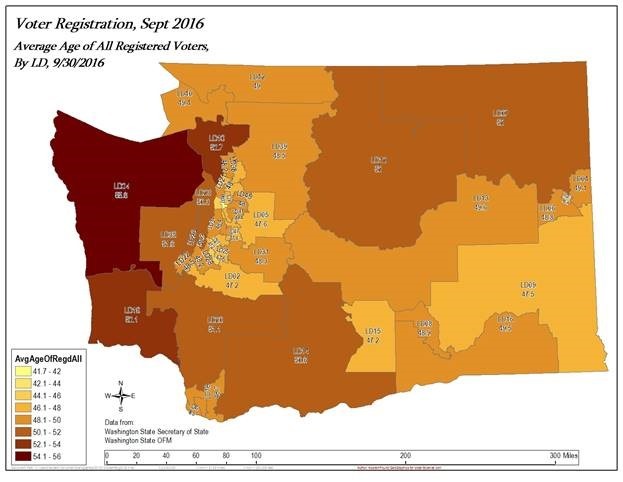 Here are the top 10 legislative districts by new-registration. Here are some visualizations of the breakdown.